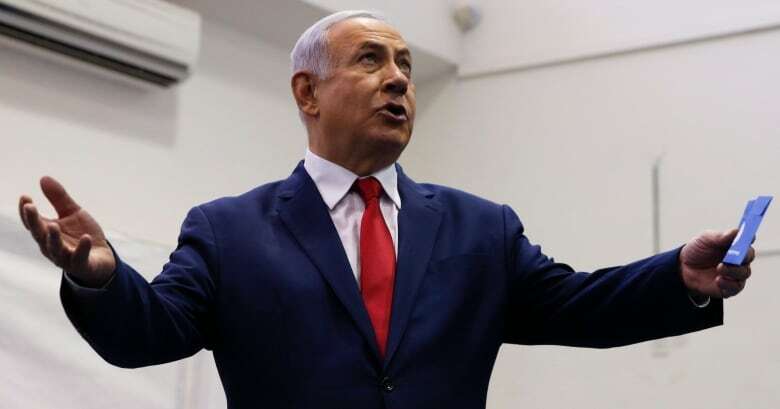 Israeli Prime Minister Benjamin Netanyahu was on course to secure a right-wing governing coalition, according to Israeli TV exit polls broadcast after voting ended on Tuesday. 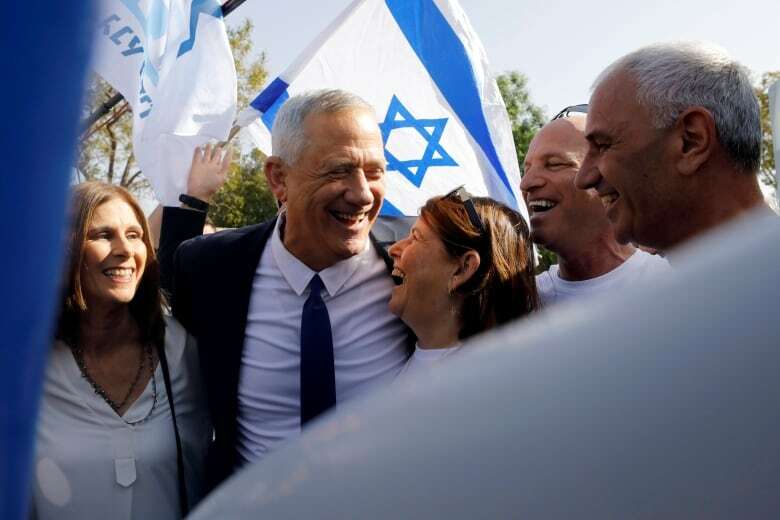 Both he and his main rival Benny Gantz claimed victory after the polls showed that Gantz’s centrist Blue and White Party and Netanyahu’s right-wing Likud had won about the same number of seats in the 120-member parliament. “I thank the citizens of Israel for the trust. I will already begin building a right-wing government with our natural partners tonight,” he said. Israeli exit polls are notoriously imprecise, meaning the final results could still swing in either direction. He faced a stiff challenge from retired military chief Gantz, whose Blue and White party had inched ahead of Netanyahu’s Likud in polls. Netanyahu still appears to have the best chance of forming a coalition, though, with a smattering of small nationalist parties backing him. Earlier in the day, Gantz cast his ballot in his hometown of Rosh Haayin in central Israel alongside his wife, Revital, and called on all Israelis to get out and vote, saying they should “take responsibility” for their democracy. Israel’s election committee said midday voter turnout stood at 24.8 per cent — or down two percentage points from the 2015 elections — but the statistic may not be a prediction of the overall turnout. Some Arab leaders made a last-minute push to implore their followers to vote. Ayman Odeh, a leading Arab legislator, broadcast on Facebook live, while religious leaders were broadcasting calls on mosque loudspeakers. Many voters, accusing Prime Minister Benjamin Netanyahu of anti-Arab incitement, have decided to boycott this year’s vote, a move potentially poised to play a role in the outcome. Camil Fuchs, a prominent Israeli pollster, said exit polls revealed startlingly low Arab turnout throughout the day. He called it “the biggest drama” facing the election. Ahmad Tibi, a senior Arab legislator, warned that the low turnout could deal a “serious blow” to the country’s Arab minority. Low turnout among Arabs would bolster Netanyahu and his hardline allies, while strong participation could push smaller right-wing parties into the margins and even threaten Netanyahu’s long rule. The election committee banned hidden cameras at polling stations following an Arab party’s complaints that it observed Netanyahu’s Likud party deploying staffers who attempted to secretly watch predominantly Arab polling stations. Netanyahu’s campaign against Arab politicians, together with the new alliance with anti-Arab extremists and the passage of last year’s contentious nation-state law, which enshrined Israel as the homeland of the Jewish people lone, deepened the calls for a ballot boycott in Arab communities. Some 6.4 million voters were eligible to cast their ballots at more than 10,000 stations. Some 40 parties fielded candidates, but no more than a dozen parties are expected to make it into parliament.